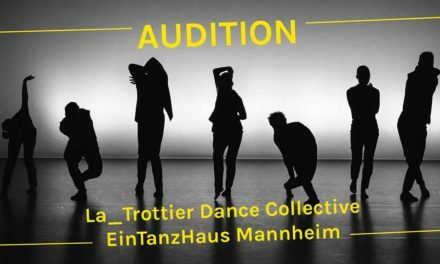 Project Zahira | Dance Theater is holding an audition for 1 professional female dancer to join an all-female cast for the international dance theater production Reclaiming the Goddess to be performed in the Netherlands and Brazil. RECLAIMING THE GODDESS is about the healing process in which the audience is taken on a vulnerable, spiritual, powerful, and meditative journey. This production has the potential to contribute, on a global scale, in the shift of a patriarchal system to a more integral society with respect for girls and women. The interdisciplinary dance theater performance Reclaiming the Goddess is about taking back our power as women – tuning in with our inner goddess that’s inherent in all of us, but often has been subdued by our social conditioning and traumas. We use dance, theatricality, costume, active meditation and live music as mediums to inspire the senses and facilitate space in which the dancers show their strengths and vulnerabilities through an evocative journey of catharsis and rebuilding. WE OFFER a co-creative, compassionate work environment, in which each person involved is seen and heard for their unique qualities. It is important that we work together as a team and create a safe space, so we can dive deep and make meaningful dance theater productions. Currently, our rehearsals aren’t paid yet (grant applications are submitted), but will be in the near future. We rehearse once a week on Tuesdays in Amsterdam. Performances are paid.